What is a Native/North American Flute Circle? 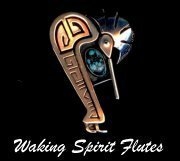 They are groups of people from various backgrounds and all different, who meet monthly to share and enjoy Native/North American Flute music. You do not need a musical background and you do not have to already know how to play the Native/North American Flute to be a part of the group. If you want to have fun, if you love music, if you have an interest in discovering the beauty and song of the Native/North American Flute, then we hope you will join one.